In the past four weeks, we have all been regaled with stories of the Libyan slave trade. Sad as this is, we should ask ourselves as Africans, how did we get here? How did we create societies in which our young people see the need to take to the Atlantic Ocean, including those who cannot swim, instead of staying back home to help build their societies and decent lives for themselves? Another more urgent question. Is this the first time we have heard of the African slave trade? Of course not. There have been disturbing stories of the maltreatment of African house helps (mainly women) in the Arab world, who have been beaten, tortured, abused, and in some cases, some women lose their minds. Recently, there was the story of the Ghanaian woman dumped at the airport after she lost her mind due to abuse. Some of these young men and women are victims of human traffickers’ who are their kith and kin, quite akin to slave raiders of old. These greedy Africans advertise jobs and opportunities which do not exists, collect huge sums of money from poor youth, and dump them in Saudi Arabia, Kuwait, Libya and other strange places. Others simply hand over their futures to God and the seas. And what do our Governments do collectively? What does the Africa Union, ECOWAS and other regional bodies do? We have Embassies in these countries, we have highly paid Ambassadors, what do they do? Do we have to wait for the CNN documentaries to act? How about similar stories by African journalists, ignored as usual. More seriously, are citizens protected once they leave the airports and immigrations centres? Arrest a British citizen for any reason and see how the might of the British state will be brought to bear on that country to protect their citizen. There is a collective failure all round. From Governments which fail to tackle youth unemployment, to international organisations doing little in the way of supporting the youth, to local leaders like chiefs, and political parties’ good at toxic divisive rhetoric to doing anything positive for the youth. Let us add those who steal funds meant for youth initiatives. In Ghana, with the huge sums of money pumped into YEA, GYEEDA, and similar schemes, the youth should be looked after. What is the Ministry of Youth and Sports doing? On this occasion, let us tone down the blame game and seek ways of developing schemes to save our youth. If there is no strategic direction, any grant from the EU for this purpose will end up in the pockets of those it is not meant for. Public Agenda believes that the current administration is honest about its concerns for problems facing the youth, especially youth unemployment. Let us support these efforts. It is a sad indictment on Africans that our Arab brothers in Libya think it is acceptable to sell other Africans as slaves. 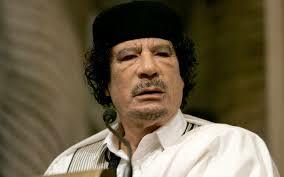 This could not have happened when Gadhafi was alive. It should not happen with Akuffo Addo, Buhari, Uhuru Kenyatta, Paul Kagame, and a huge continental body like the Africa Union. Nonetheless, it is happening. Time to end this despicable trade.